Girlfriend There are 12 products. 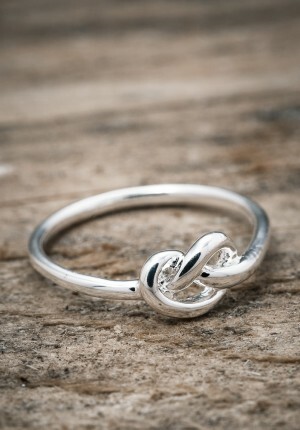 Slim and simple silver ring with a love knot handmade in 925 sterling silver. Designed by the sisters Elin & Sofia Combine with more of our By Faith rings to create your own unique style. All our jewelry is handmade in sterling silver and behind every piece is a story and a memory, created with respect to nature and people. Simple silver earrings with a love knot handmade in 925 sterling silver. Designed by the sisters Elin & Sofia. Combine with more of our By Faith jewelry to create your own unique style. All our jewelry is handmade in sterling silver and behind every piece is a story and a memory, created with respect to nature and people. Personalized necklce in sterling silver with 2 pendant from our own brand By Faith. All our products are free from nickel. If you want a letter on your jewelry, type it in the box below. If you do not want a letter, write "none". 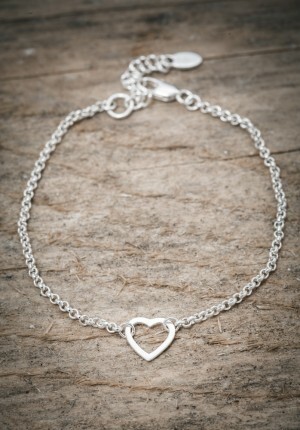 Beautiful and stylish bracelet with a small open heart. Handmade in genuin silver. Designed by the sisters Elin & Sofia Combine with any of our other By Faith jewlery to create your own unique style. 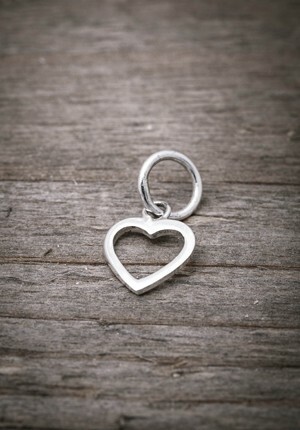 All our jewelry is handmade in sterling silver and behind every piece is a story and a memory, all created with respect to nature and people. Stylish and simple necklace with two rings a symbol for together for eternity . Handmade in silver. Designed by the sisters Elin & Sofia Combine with any of our other By Faith jewlery to create your own unique style. All our jewelry is handmade in sterling silver and behind every piece is a story and a memory, all created with respect to nature and people. Stylish and simple bracelet with two rings. A symbol for together for eternity . Handmade in silver. Designed by the sisters Elin & Sofia Combine with any of our other By Faith jewlery to create your own unique style. All our jewelry is handmade in sterling silver and behind every piece is a story and a memory, all created with respect to nature and people. 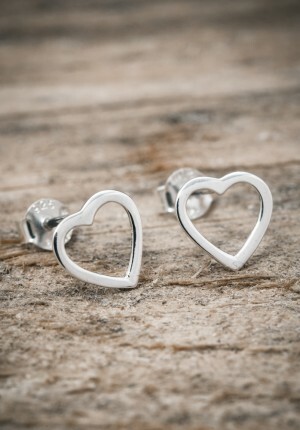 Lovely heart shaped earrings in sterling silver plated with gold. From our own brand by Faith. All our jewelry is designed in Sweden by sisters Elin & Sofia. Heart shaped mini pendant handmade in sterling silver plated in gold. Designed by the sisters Elin & Sofia Combine with any of our other By Faith jewlery to create your own unique style. All our jewelry is handmade in sterling silver and behind every piece is a story and a memory, all created with respect to nature and people. Stylish bracelet in sterlingsilver with a heart in gold plated finish. Designed by the sisters Elin & Sofia Combine with any of our other By Faith jewlery to create your own unique style. All our jewelry is handmade in sterling silver and behind every piece is a story and a memory, all created with respect to nature and people. Create a personal and unique necklace with our letter tag. Combine with more of our letter tags and carry your loved ones close to your heart. Type the letter in the box below.